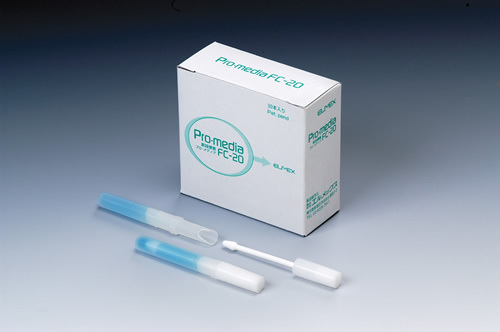 The Promedia FC-20 is a new type of feces collecting for sampling, storing, and transporting stools to be inspected for intestinal bacteria and other microbes. The cap is easy to detach and reattach. The bottle opening is designd to enable the easy removal of excess stool. 1cm in diameter , 8cm in overall length. The product use a modified Carrty-Blair medium ideally suited for storing samples. The pH indicater installed in the product clearly indicates whether a stool is contained within.